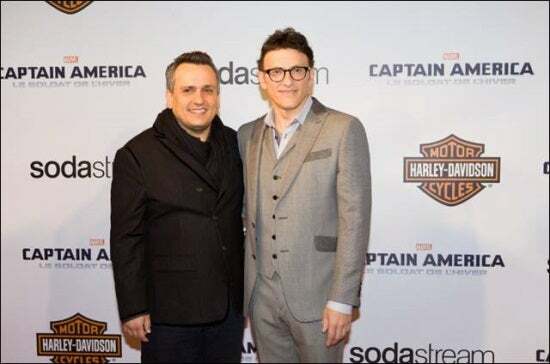 When Captain America: The Winter Soldier hits Blu-ray and DVD on September 9, brothers Joe and Anthony Russo can officially close the book on their first big summer blockbuster and start working on Captain America 3, the film that played chicken with Superman and Batman. The film, due in May 2016, will star Chris Evans, probably Sebastian Stan...and that's about all we could get out of the filmmakers, who joined us to talk about the upcoming home video release of Winter Soldier. 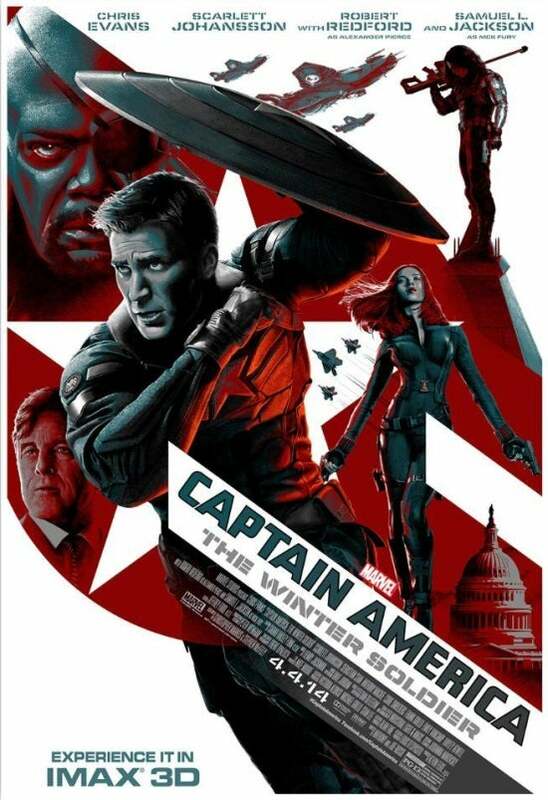 You guys got a lot of credit for putting together a really well-crafted movie [in Captain America: The Winter Soldier], which sometimes I think the Marvel films don't get as much credit for as they maybe deserve because they come out so fast and furious, and they have such commercial potential. Do you think you guys bucked the formula a little bit, or was this movie just proof that Marvel's formula works? Joe Russo: I think it's proof that Marvel's formula works. I mean, everybody works a little differently here but Marvel, when they hire their filmmakers, you have a pretty wide berth. They're giving you a lot of creative freedom and it's no different from any other studio where of course when somebody writes a check for $200 million, they're going to expect to have a say at some point but it's been the most hands-off experience we've ever had, no question. And we were given the most creative freedom we've ever had, inclusive of our TV experience, where we've built ourselves up into a nice position of power in television. I think that's the Marvel way, and if you can communicate your vision to them very clearly and they trust your ability to execute that vision, you're in great shape over here. It's a very healthy process and we've told Kevin [Feige] that he's going to have to drag the two of us out of here kicking and screaming before we leave Marvel because we've had such a great experience here and we love everybody who works here. Not only is Kevin a visionary in terms of understanding an arc for the universe and having an incredible Midas touch when it comes to understanding the commercial appeal of films but he's done an amazing job at hiring incredible people at this company. It is just filled top to bottom with the nicest, smartest, most talented people. Everybody's a value-add, everybody's there to help you. And it's made the process here incredibly unique and we feel ridiculously spoiled. How many of the parts are going to be recycled for the next installment, both in front of and behind the camera? The last time I talked to anyone involved with the film, it was Henry Jackman, who wanted to come back but at that point had no idea whether he would be invited, and obviously you get things like Mackie referring to the movie as Avengers-lite. Joe Russo: From a crew standpoint, it's almost everybody. Henry Jackman's back, our whole technical crew for the most part is back. We're Italian; we love a big happy family. We love consistency and a lot of people did a great job on the last movie. From a character standpoint, it falls into the category of what you can and can't say working for Marvel. Certainly Captain America will be back. 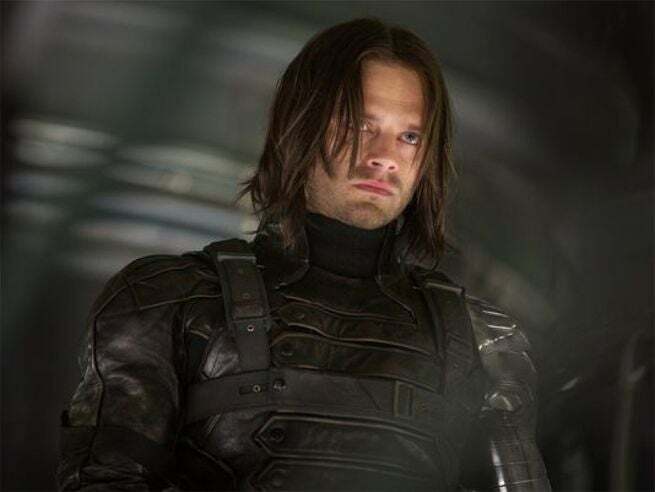 The expectation would be that Bucky will be back and there's certain characters in the Marvel Universe that Cap has a strong connection to but we've also got some tricks up our sleeve for this one and we're hard at work. That's a very crowded summer and there's high expectations so we're all hard at work trying to exceed those expectations and really carve out a big, splashy idea for Cap 3. 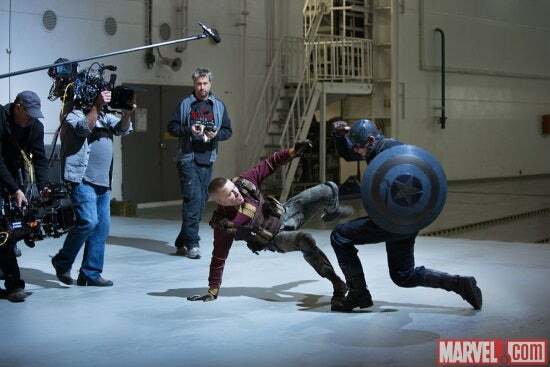 The Winter Soldier drew a lot from The First Avenger, but you guys obviously weren't involved in the production of the first one. How much of that did you seek out versus what was handed to you with a plan to use it? Joe Russo: You get to lean into the things that excite you and lean away from the things you don't. I don't think there's anything we were working with that we didn't think we had a good idea of how to execute and I think part of our process with Cap 2 was trying to ground it as much as we could and really when you're grounding all you're trying to do is be as logical as you can in terms of execution. So, how can we track this into today's world? What would it mean? How would things play out in our world, in this environment? So we were able to bring those ideas from the first movie and run them through our logic filter for this movie. I feel like we stuck with the concepts that would benefit the tone of Cap 2. Joe Russo: Yeah, definitely, that's where you start. We all know the character and when he was first brought up we were like, “Oh, God, what are we going to do with that?” But then as you sit and try to process what that would mean, again, how do you filter that through a modern interpretation, a very immediate interpretation, in a language that people will understand today, where people who are reading the Internet every day will say, “Yes, that's an extremely topical execution of that character or execution of that character.” He's right next door to a terrorist, basically a merc for hire but he has no loyalty and his group is all a group of well-trained ex-soldiers not dissimilar to a lot of the cartels in Mexico right now. That's where we look for our inspiration, is to grounded in the real world and then we just applied it to the character. Did you have a handful of other villains that you considered at that time? Like, is there somebody who might pop up in the future because you had a cool take on him that didn't get used? Anthony Russo: It's hard to talk about that stuff because certainly our best answers to that question are stuff that are likely going to show up and we can't talk about. It's a hard question to answer because the answers are off the table right now unfortunately. But we do...Marvel has an incredible depth of characters and yeah, we think about a lot of them. 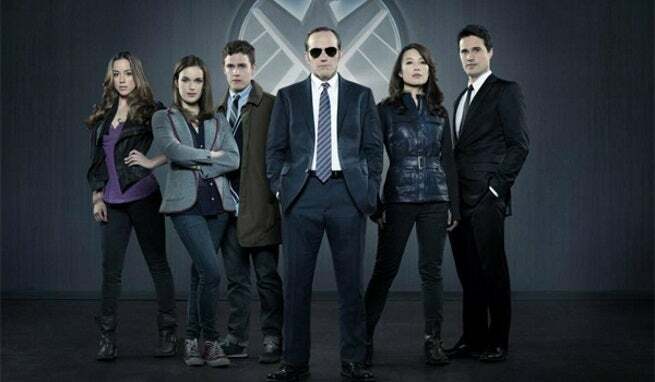 What was your relationship with Agents of S.H.I.E.L.D.? Joe Russo: The show operates separate from us. There's always synergy because we're all under one roof here but Kevin doesn't manage the television side, he manages the features side. I think when we had an early cut of the movie we brought in the executive producers from the show so they could see what we were up to and then they made adjustments -- this is very early in their season -- so they made adjustments based on what they saw. That's how it stays so consistent is that everyone's seeing the most current version of whatever work is in progress and then looking at how that effect what they're currently working on. Is that how you guys ended up working on Agent Carter, when Loeb came in for S.H.I.E.L.D., or was that a separate pitch? Joe Russo: No, that was Louis D'Esposito. It's based on a short of his and he's extremely passionate about the show. He and Markus and McFeely are working on the show and we love Lou and we love Markus and McFeely and we felt like we could help contribute to launching the show for them because of our background and experience in television.